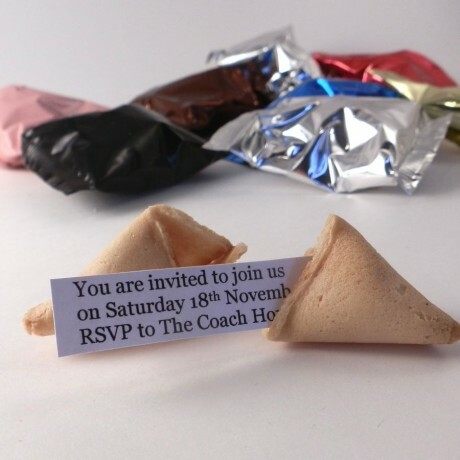 The wrappers can even come with printed text or your logo. We can print a ONE COLOUR logo onto one of our standard foil wrapper colours (gold, silver, black, white, pink, brown, green, purple, orange, red, blue or clear). The colours which we can print are: black, green, blue, red, brown, white, orange, gold or silver. Select to write up to 5 different personal messages (which are all mixed together) with the choice of adding an additional message on the reverse side of the paper slip. Message length: Messages should have a maximum length of around 120 characters per side and are printed across 3 lines. Your message text: Please ensure that you enter the text for your messages correctly as we will print using these details - there is no option to change these once you have placed the order. Printed wrappers: If you would like your logo printed on the wrappers then the logo needs to be supplied as a black and white high res jpeg file with the logo shown as black on a white background, no matter what colour of wrapper print is selected. Delivery time: You will need to allow 7-10 working days for delivery. 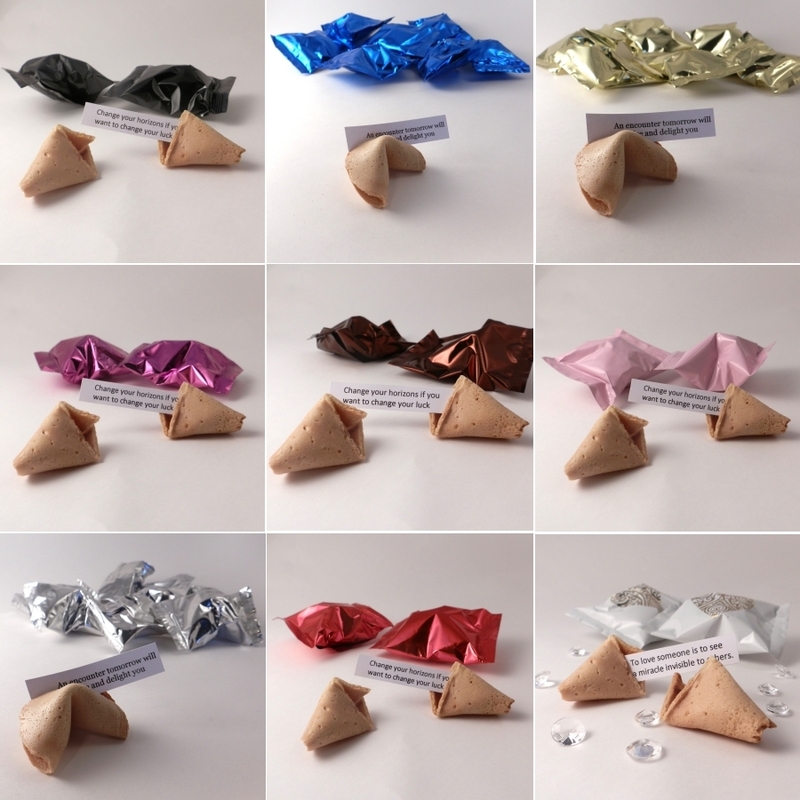 Shelf life: The fortune cookies are individually foil wrapped and will stay fresh for 8 months. This product is dispatched by High Tea to High Table. This item has a shipping weight of between 2,000g and 2,000g depending on the options selected. Please attach a high resolution image as black on a white background.